Can Chuck Roast Be Used for Stew? Season ground beef with a variety of herbs and spices, including rosemary. Combine the culinary versatility of ground beef with the simplicity of cooking with a slow cooker, and you have a recipe for a delicious, easy-to-make meal. The benefit of preparing ground beef-based meals with a slow cooker is that you can add all of your ingredients to the pot in the morning and have a culinary delight ready for you and the family at dinnertime. While ground beef is high in cholesterol and contains trans fat -- the type of fat your doctor always tells you to avoid -- the meat still has its nutritional benefits. 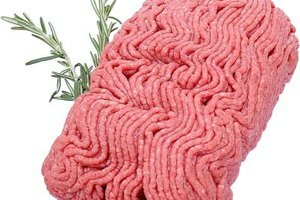 For example, ground beef is a good source of protein, vitamin B12, niacin and selenium. Where ground beef really shines, however, is in its high zinc content. Zinc supports a healthy immune system, helps with the healing of wounds and is beneficial for childhood growth. For optimal nutritional results, look for ground beef with a high lean meat to fat ratio, such as 90 percent to 10 percent. Before putting your ground beef into the slow cooker with your other ingredients, brown the meat in a pan with some extra virgin olive oil and, for added flavor, some onions and garlic. Browning before you slow-cook will ensure that the ground beef in your meal cooks thoroughly and does not clump together. More importantly, however, browning the ground beef will allow you to drain out some of the fatty grease, which would otherwise go into the finished meal. Soups and slow cookers go together like peanut butter and jelly. A favorite meal to make in a slow-cooker is chili, also known as chili con carne. In addition to ground beef, you'll need chili powder, tomatoes and beans. Celery and onions are other welcome ingredients. Alternatives to chili include a slow cooker onion soup with ground beef, which you can prepare with the help of a package of dry onion soup mix, or a beef noodle soup, which you can make using beef bouillon, egg noodles and your favorite veggies. Serve soup with crunchy French bread and a mixed green salad with creamy dressing for a balanced meal. Nothing beats the taste of a slow-cooked ground beef sauce that has been stewing for hours. Make a meaty red sauce by combining ground beef, ground sausage and canned tomatoes; or make a white sauce with ground beef and canned cream of mushroom soup. To balance out the fattiness of a meaty sauce, pour the sauce over steamed veggies, whole grain pasta or brown rice. Come home to the delicious smell of homemade lasagna or spaghetti pie. For the lasagna, layer ground beef mixed with tomato sauce, lasagna noodles and a mixture of mozzarella, Parmesan and ricotta. 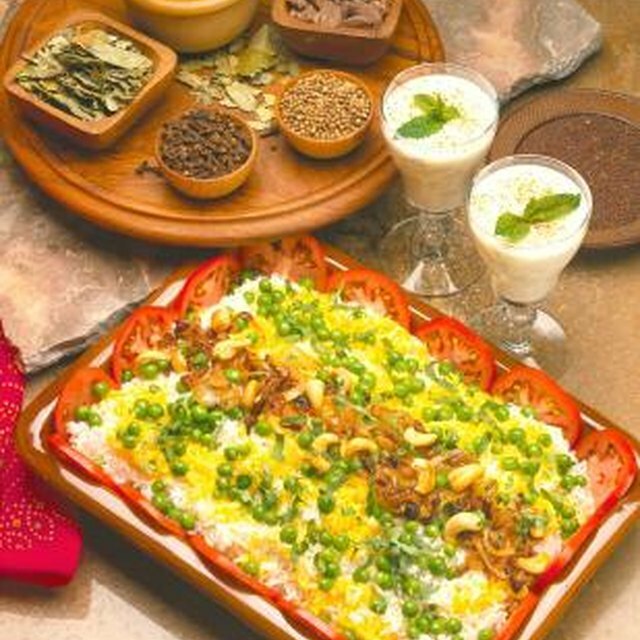 Or, make a spaghetti pie by combining ground beef, cooked spaghetti, ricotta cheese, eggs and ranch dressing. To save time, cook the pasta the night before and store it in the refrigerator over night. Serve either of these kid-pleasing meals with a simple salad topped with fresh veggies and creamy dressing. Can You Use Milk Instead of Cream for Homemade Mac & Cheese?